I had already started writing my first commentary for Jacket2. But then I had to begin again. 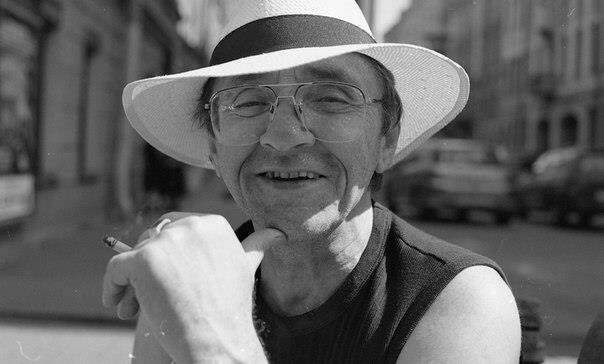 Earlier today I learnt of the passing of a great poet and a friend: Arkadii Dragomoshchenko. I discovered on the weekend that Arkadii was seriously unwell. As a result, I dedicated the launch party for my book A Common Strangeness that we held in Dunedin, New Zealand, on Monday to him. As part of the launch, the New Zealand poet Cilla McQueen read the first part of his long poem “A Nasturtium as Reality” alongside her own poem “Photon.” It was just the latest in a long line of cross-cultural encounters generated by Arkadii’s work. Arkadii’s extraordinary collaboration with American poet Lyn Hejinian is well known. (I write about it in A Common Strangenessand elsewhere––as have several others, notably Marjorie Perloff, Gerald Janecek, and Stephanie Sandler.) Lyn and Arkadii translated each other’s work beautifully. And they also wrote dense, intense letters to one another––poems in themselves. Arkadii wrote in Russian, and Lyn in English. In less than a decade (1983–1991), they produced over 1000 pages of letters in what deserves to be recognized as one of the truly great literary correspondences. They also enabled others to share in that connection, facilitating many new links between Russian and American poets. Perhaps less well known is Arkadii’s work with Evgeny Pavlov to connect Russian and New Zealand poets, an effort that resulted in the marvelous anthology of New Zealand poetry in Russian translation Земля морей (Land of Seas) and, later, a smaller reciprocation in the form of a special Russian issue of the New Zealand literary journal Landfall, which included translations of Russian poetry made in collaboration with New Zealand poets. Arkadii had links to many other parts of the world as well. In November last year, he visited Hong Kong to participate in the festival International Poetry Nights, organized by the Chinese poet Bei Dao 北島. In his last emails to me, he signed his name in Chinese characters 阿爾卡季•德拉戈莫申科, explaining that his most recent publication was《同義反覆》, published by Oxford UP in conjunction with his visit to Hong Kong––the book is a translation of Тавтология (Tautology), published by Novoe literaturnoe obozrenie in Moscow earlier in 2011. Even the talk about everything being in decline. Arkadii's writing was––is––an education in itself, always making me think again. But he taught me in other ways too. He looked after me very generously when, at the age of 22, I first met him in St Petersburg in 2000 and proposed, rather naively, to write about his work. His passing is a great loss. My thoughts are with Zina, Ostap, the rest of the family, and his many friends. Read Cilla McQueen's poem to Dragomoshchenko here. Read his work (in Russian) at Vavilon. Listen to his work (Russian and English translations) at PennSound. This commentary considers the iterations of translation, performance, globalization, and digitalization as they recur in, around, and through poetry. I take iteration to encompass a range of poetic practices, including repetition, sampling, performance, versioning, plagiarism, copying, translation, and reiterations across multiple media. I’m interested in exploring how iterative poetries emerge out of and respond to the challenges to individuality, agency, authority, cultural identity, and difference posed by new technologies of reproducibility and by globalization. Jacob Edmond is author of A Common Strangeness: Contemporary Poetry, Cross-Cultural Encounter, Comparative Literature (Fordham UP, 2012), co-editor of Recentring Asia: Histories, Encounters, Identities (Brill, 2011) and co-editor and co-translator of Yang Lian’s Unreal City: A Chinese Poet in Auckland (Auckland UP, 2006). His articles have appeared in journals such as Comparative Literature, Contemporary Literature, Poetics Today, The China Quarterly, and Russian Literature. He lives in Dunedin, New Zealand, and teaches at the University of Otago.